In our quest to find local spots in every suburb where one may take a growing bigger puppy, and to raise a glass to the 31st marking of a 21st, we sojourned a short way up the road to Barrenjoey House to see what was on offer during Winter. For starters Monsieur, an avid oysters fan, chose a round of Sydney Rock Oysters, served freshly shucked with a mignonette of mountain berry pepper (gf) – his pronouncement – ‘fresh, delicious’. Delicious mezze plate, wonderful laid-back local activity. For mains Monsieur partook of the chargrilled 350g Cape (Tasmanian) Grilled rib eye steak served with seasonal Brussel sprouts, potato gratin a spiced butter and a luscious jus. Silence form the other side of the table, and the ending ‘yum!’ should indicate how great this was. The 21 and then some year old chose the Market Fish of the Day – a Huon Valley Atlantic Salmon Cutlet served with either a Fattoush salad, with goats cheese and a sumac dressing OR a Mesclun herb salad, chips and a housemade Tartare sauce – chips and greens being opted for in this case. To accompany all this glorious food Monsieur consumed resplendent margaritas while, missing Tasmanian wines to accompany Tasmanian splendour, a bottle of equally brilliant WA Margaret River Howard Park Miamup Chardonnay suited the table. There are a great range of other Australian wines, all best of their class on offer, from whites to reds and through to desert accompaniments. 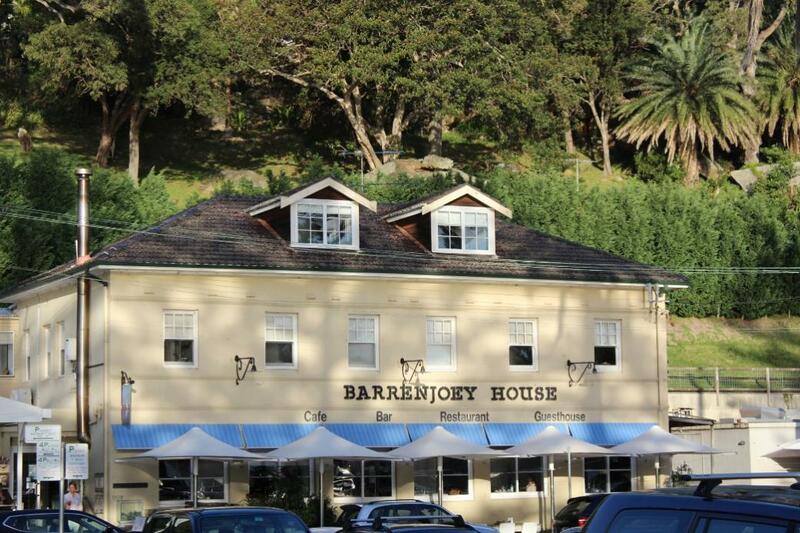 Barrenjoey House has an Afternoon Menu for those who want something excellent to nibble on while sipping something resplendent, great dishes that may be shared – such as the Seafood Plate, in entrees and mains, or something sweet – such as the Stone fruit creme brulee with almond biscotti or the Volrhona chocolate pudding with vanilla bean ice cream, and have these with a coffee. 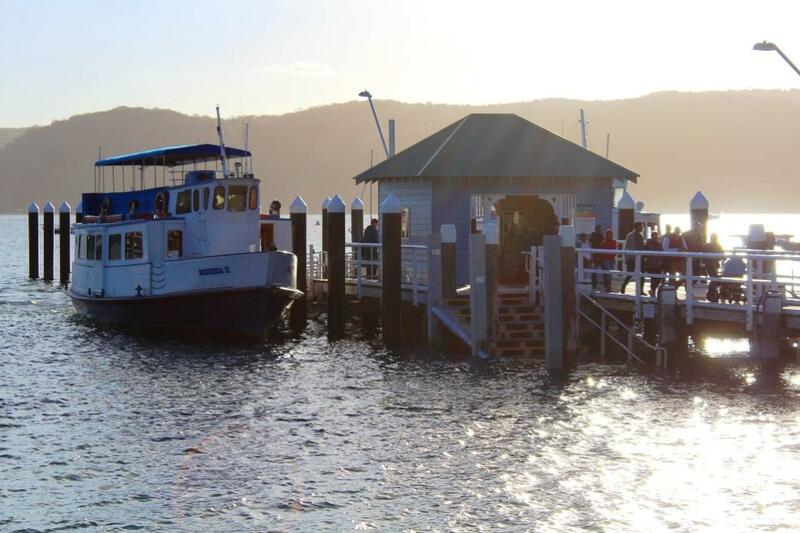 With beers on tap, a sterling cocktail maker, and what we call locally a suntrap position, in that it is on the Pittwater side of the estuary and tucked into a corner where early Winter winds are kept at bay by surrounding green hills – this place, located opposite the Palm Beach ferry wharf, is perfect for those who love outdoor salt air and glorious views, and enjoy the goods things life is also about. NB: You can dine indoors, next to a fireplace in cold times, if you prefer, in a grand old historic premises.